Keep your home and family safe with a state-of-the-art security and home automation system from Steadfast Security! Backed by 24/7 central monitoring, our alarm systems provide peace of mind around the clock. 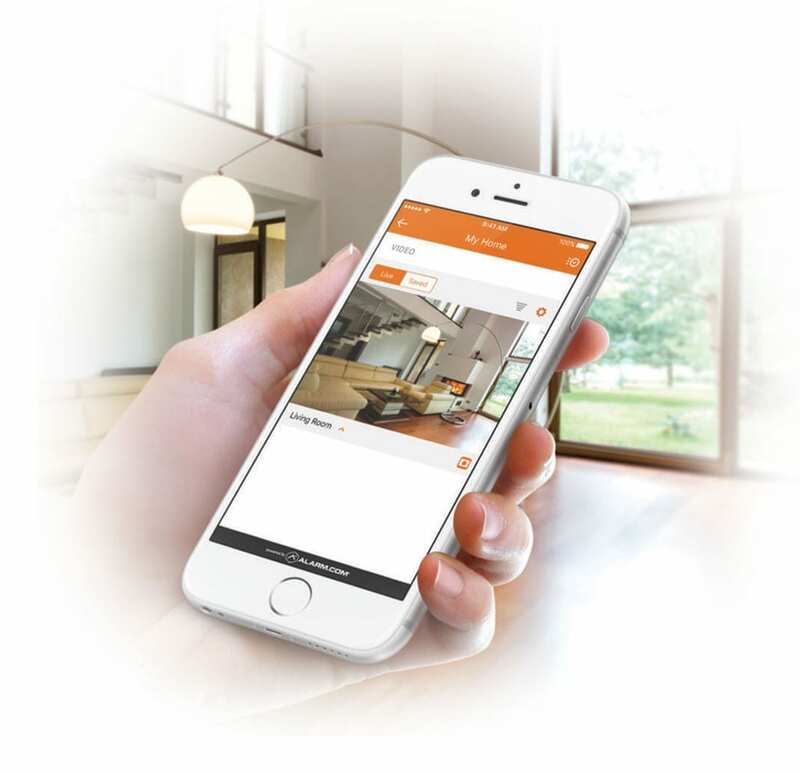 Not only do we provide systems with advanced security capabilities, but we can also transform your home into a fully automated smart home that can be controlled from anywhere with an easy-to-use mobile app. We offer the latest in smart lock devices that can be fully integrated into your home automation and security system for a convenient home experience. With smart locks, you never have to wonder if you remembered to lock the door when you left home! 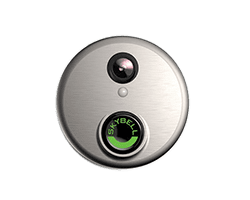 Always know who’s at your front door with the convenience of a doorbell camera. With a doorbell camera installed, you can keep a watchful eye on who’s coming to your door from anywhere—regardless if you’re home or away. These help to keep your family safe and ensure that you are opening your door with confidence. Keeping your home and family safe from intrusion or damage is important to us at Steadfast Security. For residents around Kearney, NE, and the Kansas City metro, we offer two great security items to ensure your safety. Heavy rains are common across the Midwest, increasing your chances of experiencing flooding at your home in Central Nebraska or across Kansas City. To help protect against the chances of water flooding your home, we can provide a SMART water valve, which is used in combination with our flood sensors so your home’s water supply can be automatically shut off when a leak is detected. This can help you keep your basement— or any room where a leak may spring— dry and your home safe when you’re not nearby! Stay completely connected with your home through video monitoring and surveillance. Our video devices can be integrated into your home security system and accessed remotely via web, mobile applications, or through our central system, which can video verify when an alarm has been triggered. Experience full control of your system at all times with the easy-to-use app, receive instant alerts to your phone, and even watch live video surveillance from anywhere at any time! We’re a proud provider of smarter security systems powered by Alarm.com, a brand trusted by millions of homes and businesses. 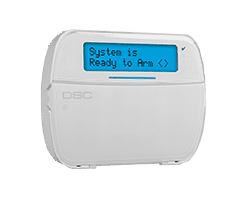 Alarm.com systems provide advanced automation capabilities that are easy to use and can be controlled from local panels or web and mobile applications. 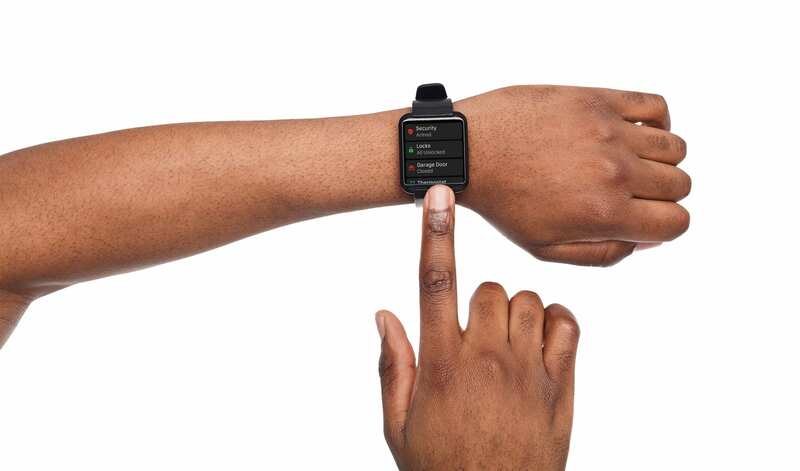 These incredible systems also notify you of any abnormal activity in or around your home. We’re a proud provider of smarter security systems powered by Alarm.com, a brand trusted by millions of homes and businesses. Alarm.com systems provide advanced automation capabilities that are easy to use and can be controlled from local panels or web and mobile applications. These incredible systems are also backed by 24/7 central monitoring that will notify you of any abnormal activity in or around your home. 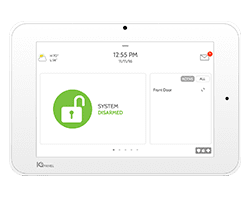 The Qolsys IQ Panel is the central hub for controlling your smart home security system. The intuitive touchscreen provides easy control over the thermostat, security system, locks, and lights. Yale smart locks are ideal for every smart home security system. 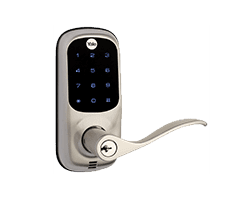 Lock and unlock your home with ease using touchscreen and push-button deadbolts that have the ability to connect wirelessly to the rest of your system. Experience complete lighting control through the power of Lutron. 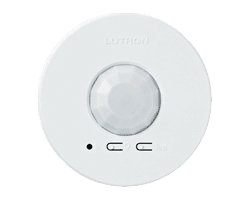 Lutron devices control RadioRa2, Homeworks, and Caseta systems, allowing you to turn lights on and off through your security system controls or mobile phone. Trusted by over 5 million people, Alarm.com smart thermostats, doorbell cameras, security cameras and other smart home devices offer simple and precise control. 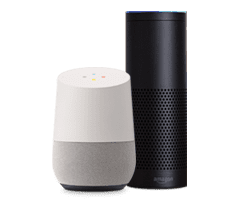 Our security and smart home systems are designed to integrate with your existing technology, like Google Home or Amazon Alexa, providing voice control capabilities. The modular and scalable DSC PowerSeries Neo provides a cost effective, tailored security solution for any home. If you’re looking for security systems and automation for your business, look no further than Steadfast Security. With video monitoring and advanced access, our systems will protect your business! Talk with us today about home automation and security systems so we can help you find the right system for your needs. Whether you’re after peace of mind or home automation, get in touch for a quote! If you’re in need of help installing your new smart home security systems or devices, look no further than Steadfast Security. We have the experience you want to install your items and then help you learn how to use them!